Innovation has been celebrated in the United States for creating national well-being and exemplifying personal achievement. For some people, invention was a means for obtaining individual wealth; for others it was a strategy for solving technical problems or dealing with labor issues. The ultimate effect of new technology is often hard to predict. Inventions sometimes enhance productivity, lower costs, and increase consumer choice. Other times there are unanticipated consequences that can create social and economic upheaval. The technical challenge of mechanizing the handcraft of sewing thwarted inventors for years. 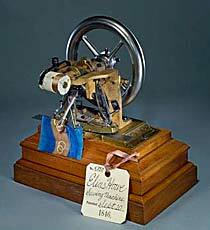 Elias Howe is credited by many with developing the first practical sewing machine in 1846, but initially the public ignored it. Colt’s factory was as innovative as the guns he sold. He used interchangeable parts, specialized power-driven machines, and division of labor in what came to be known as the “American system” of production. Isaac Singer patented some improvements to the sewing machine, but his big contribution was marketing. 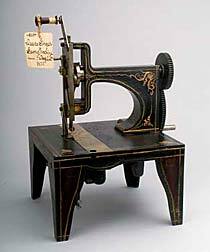 Through staged competitions and the use of installment credit plans, Singer largely created consumer demand for sewing machines.